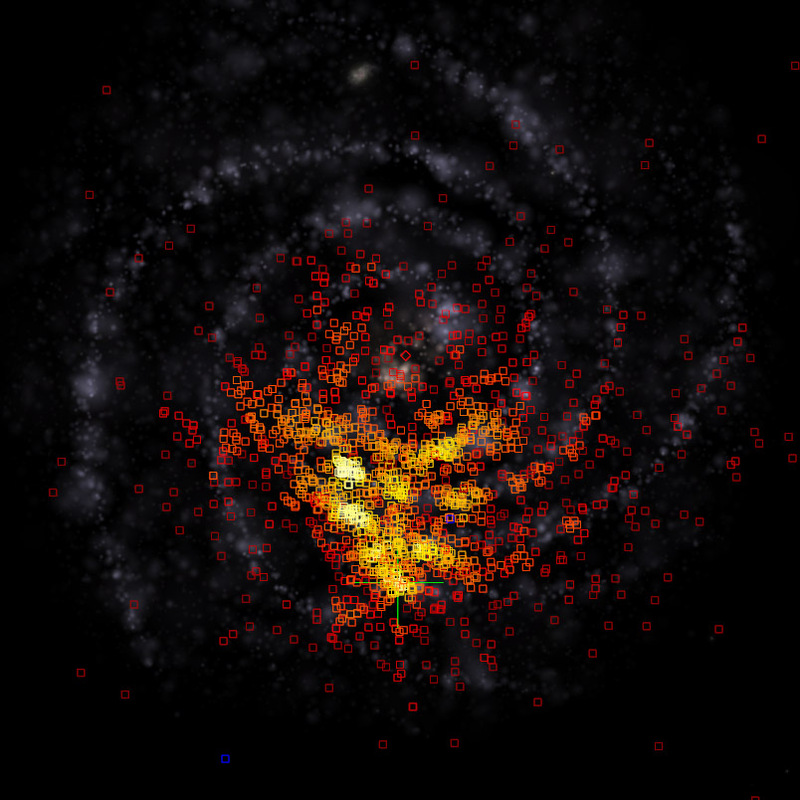 Maybe it's time that I publish an update I made this summer to Celestia's pulsars database (so, the addon sector is still alive even if Celestia's development is dying). 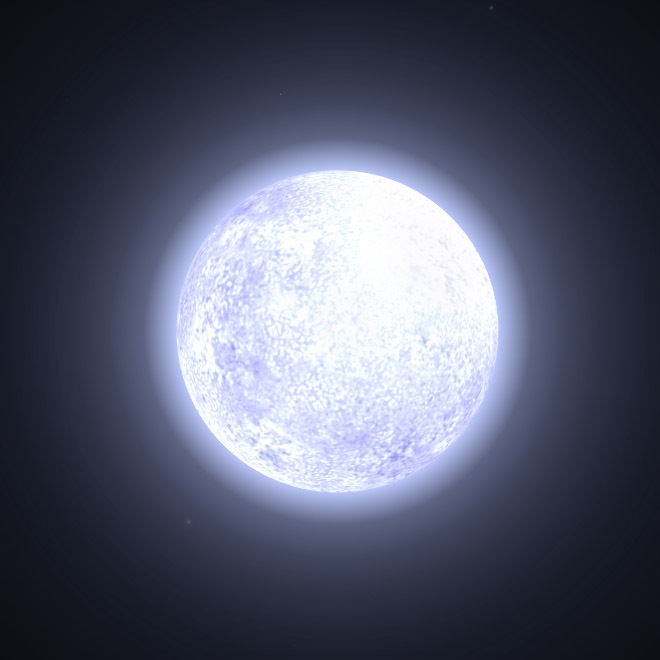 I used the latest ATNF pulsars catalogue (version 1.30) and made a complete up-to-date addon for Celestia 1.5. 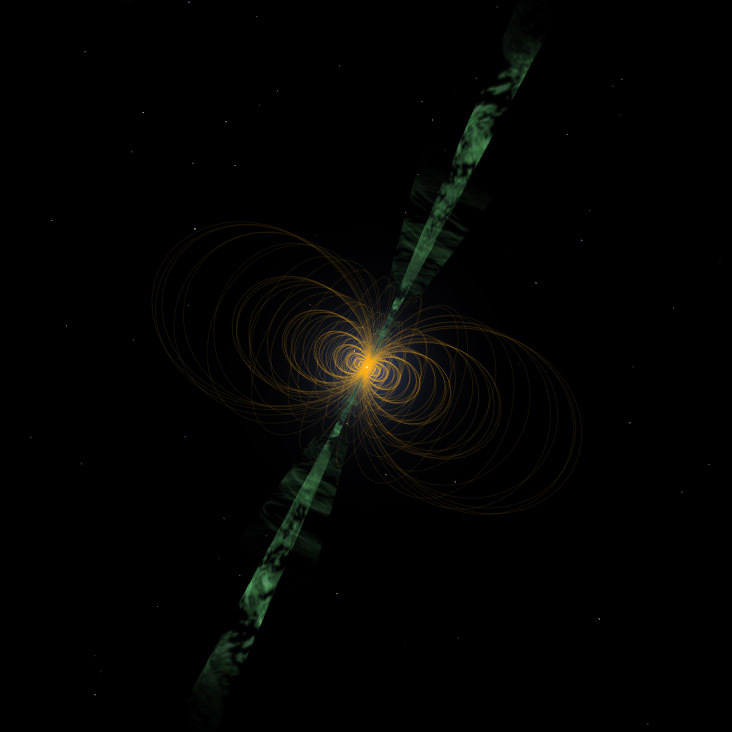 It contains more than 1750 pulsars (see the readme file coming with the addon), and some scripts to study the spatial distribution of the known pulsars in the Milky Way. It's also including 7 well known pulsar binaries, properly oriented relative to Earth (references are given in the binaries SSC file). I worked hard on the database to identify all the duplicates (there are a few pulsars in the ATNF database which are actually the same object, with different names) and all pulsars having a very inaccurate or unreliable distance. A few pulsars in the ATNF database are even lacking some data, so I had to take care of them. Take note that I used a SpectralType "D" for all the pulsars having an unreliable or unknown distance, so we can identify them easily using a script. 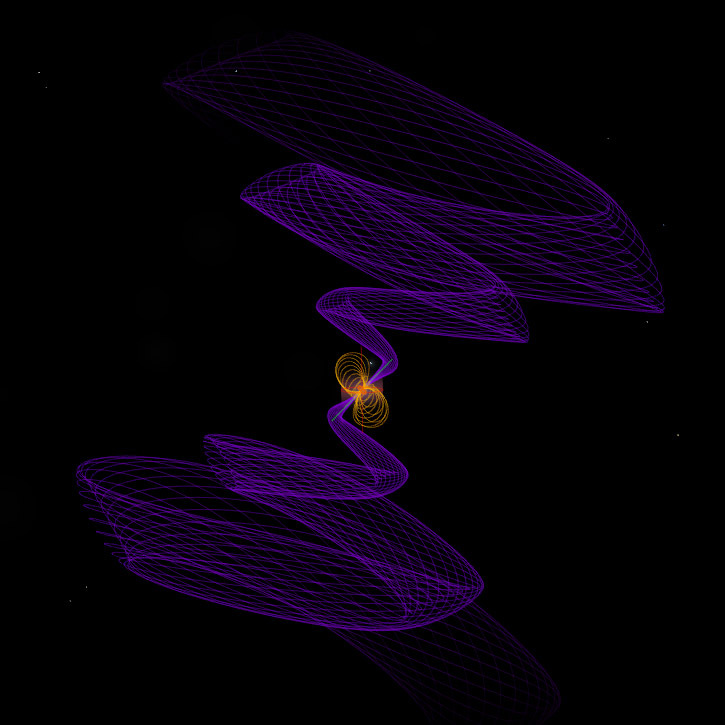 The addon contains some simple generic models to render the pulsars with jets. If you don't like the models, just throw away the associated SSC files. As a complement, I'm also giving a second link to a "sub-addon", which adds a magnetic field configuration to some well-known pulsars. Please, read the accompany readme file. Of course, the magnetic sub-addon is optional. If you don't like the magnetic fields models, you know what to do. EDIT : Some previews from the addon. Last edited by Cham on 15.10.2007, 10:15, edited 2 times in total. The documentation directory needs some documentation, however. "webloc" files are unknown to Windows. If they're supposed to be URLs, I think they should be put into an HTML file which explains what they are. "Mystery links" are generally considered to be inappropriate since there's no way to know what they might do. Also, a brief description of the .au files and credit for their sources would be good, too. Right now, I'm not motivated enough to build a full documentation folder. 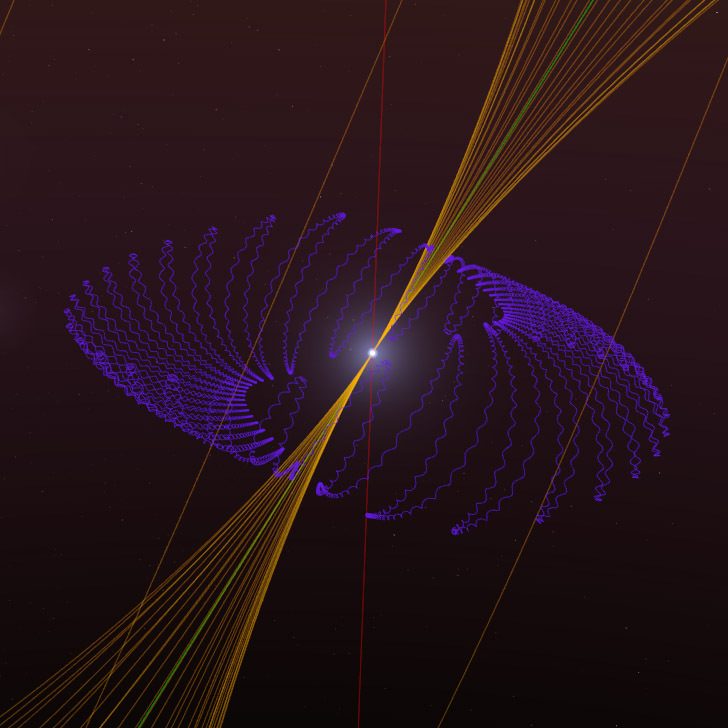 I'm just giving some links to usefull web pages and some real pulsar sounds. Sounds very much like excellent work Cham!, although I can't view it (yet) because I'm still using v1.4.1. Since Celestia's development is apparently totally dead, this may very well be my last addon contribution to Celestia. ...and that would be sad, very sad. I do hope this is not the case. Cham wrote: ... this may very well be my last addon contribution to Celestia. Interested in a work on comission? "To make an apple pie from scratch, you must first create the universe..."
Cham wrote: Since Celestia's development is apparently totally dead, this may very well be my last addon contribution to Celestia. Celestia's development dead whether people like you abandon us. Don't do it, wait another tad. man are they pretty here. by opening them up individually via Vista's un-zipping utility. the problem is OS X is actually storing all Mac-related info into the zip file (usefull for the Mac guys). So when a Windows user is unpacking the zip file, he gets some duplicates. You can safely trash one of them and use the other. Just check that you have all the files in one addon folder : STC and SSC files, textures and models folder, and also a "documentation" folder, with all the models and textures files properly placed in their folders. Ah... If ONLY it were that easy. your folders with NOTHING installed in them. and then edit the contents via programs like Irfanview, or Notepad. one of the things that Vista did right!!! Just thought I'd let you know that I have downloaded all of your add-ons once again for my new Gateway. 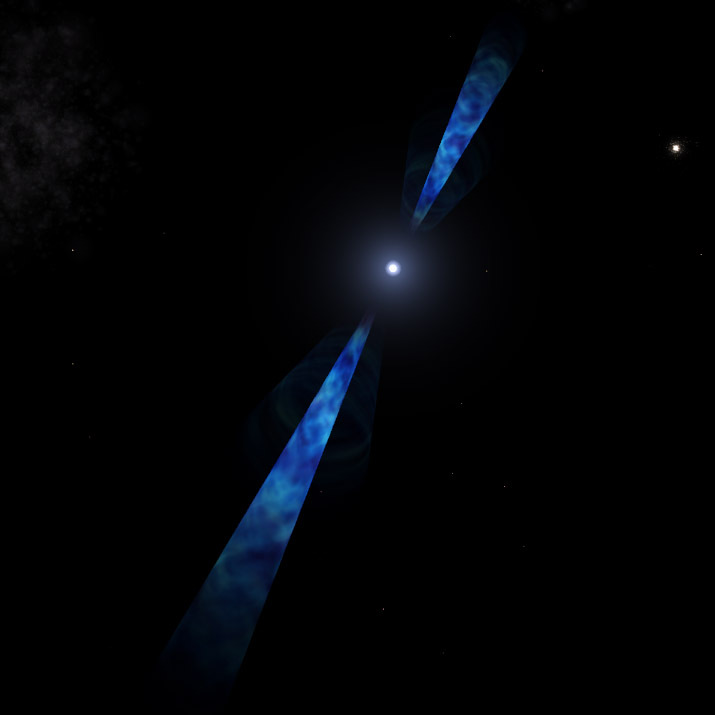 This time around, these pulsars are relatively easy to install. Many thanks once again. Thanks again for all of your great add-ons.